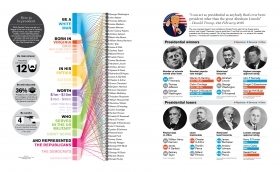 Infographic: Presidential precedents – all 45 US commanders-in-chief in context from Delayed Gratification, the Slow Journalism magazine. When Donald J Trump was elected 45th President of the United States on 8th November 2016, words like “unprecedented” and “abnormal” filled the airwaves and newspaper columns. 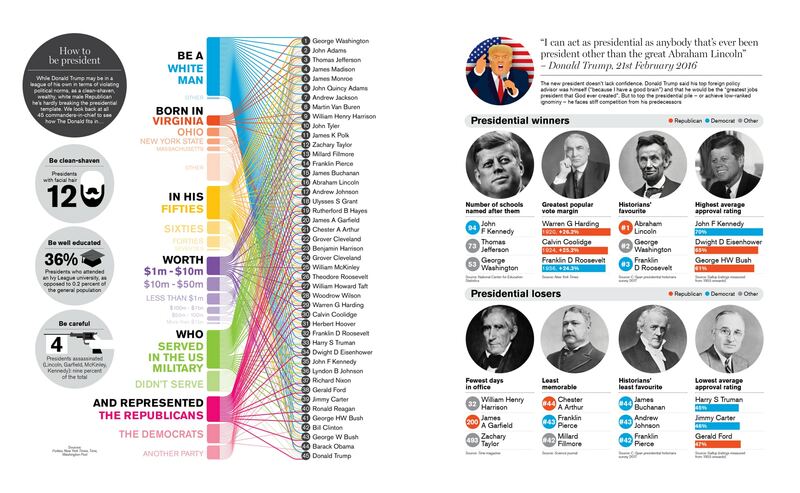 But aside from his celebrity status (oh, wait: Ronald Reagan) and his lack of experience in elected office (hang on: Dwight D Eisenhower, Ulysses S Grant…), what exactly marked him out as unique? This infographic was published in DG#25. Pick up a copy in our online shop or take out an annual subscription using the promotion code ‘SLOWPOST’ and you’ll get our current issue for free.